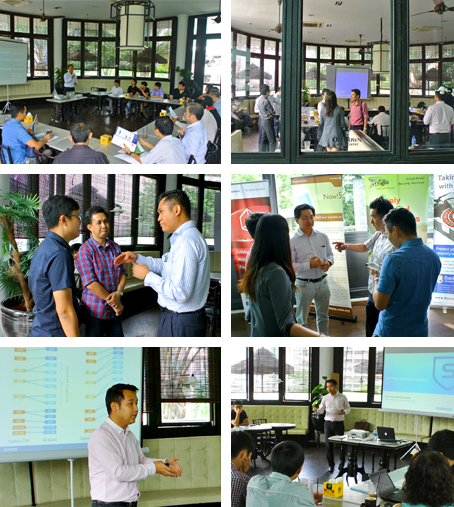 InternetNow held its May Teh Tarik session on 20th for its resellers. It is a casual session for resellers to mingle and network, while getting some product updates. May’s session was on the new Sophos SG series firewall. Event was graced by Wana Tun, Sophos APAC Sales Manager. The new Sophos SG series appliance has been benchmarked to be the fastest in its category. And its ability to really provide all the necessary protection (web filtering, web application firewall, reporting, WIFI protection) all in one box is made possible by this performance. Running on Intel chip architecture (rather than ASIC chip) and employing SSD storage allow for this. Also at the event, InternetNow announced a number of promotions for resellers such as Leasing Programme: Customers get trade-in their existing firewall with a brand new Sophos firewall without having to pay a large investment. Instead they can lease it over 3 years for a smaller amount.